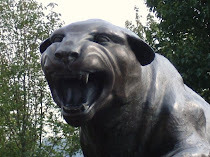 CARDIAC HILL - A Pitt Panthers Blog: The Retooled Panthers? There was a bit of a 'rebirth' of the Panthers this week from the local articles that came out leading up to Pitt's 66-48 win today vs. Mount St. Mary's. The practices were harder and longer than usual. One player described the past three days as a "boot camp." Another player said he wished Dixon would have done it sooner. "The week was tough," junior guard Brad Wanamaker. "I felt as though it was something we needed. It helped us mature. It will help us make better decisions. Every little thing we did coach was on us in practice. Coach was constantly on us to see the fight in us. Maybe it was something he should have done constantly throughout all of the practices. We would be a better team now. But it was good for us." Dixon is in the unique situation of adding two important players in the middle of the season after playing the first six weeks with an inexperienced and undermanned lineup. Jermaine Dixon, Pitt's only returning starter from last season, played Dec. 8 after missing the first eight games with a foot injury. Dixon played 12 minutes against Indiana and played 14 minutes last week against Kent State. He had his best week of practice this week and his coach was hoping he would have an increased role today against Mount Saint Mary's. Tomorrow afternoon, Jamie Dixon will add his most experienced player to the mix when redshirt junior forward Gilbert Brown returns to the team after serving an academic suspension for the first semester. Trailing by 12 at the half, the Mount opened the second half with a 10-to-3 run to cut the deficit to 33-28 with 16:44 remaining. Beidler scored four points in the run while Goode capped it with a jumper. Pitt (9-2) responded with a traditional three-point play from Ashton Gibbs for an eight-point lead. Goode countered with a pair of free throws, but Pitt scored consecutive baskets to stretch the lead to 10. The Mount (3-7), which has lost five straight games, was trailing 42-35 with 12:41 remaining before the Panthers went on a 13-to-3 spurt for a 55-38 lead. The Mountaineers made a final surge, cutting Pitt's lead to 57-46 with 4:52 left, but could get no closer. Jermaine Dixon started and did see an increase in minutes today, despite foul trouble. He still struggled to find his way offensively (4 points), but his defense will be needed in the Big East season. The turnover battle has not been won, but was slightly better today. And in what is becoming a recurring theme, it was again the Ashton Gibbs / Brad Wanamaker show as they combined for 39 of the 66 points and were Pitt's only two players in double figures. Wanamaker's 20 was a career high. One of the two have led the Panthers in scoring every game except for one this year. That's not so bad as every team relies on certain players to a degree. But what's mildly disturbing is the growing trend of the team's ability to score outside of those two players, especially of late. In 6 of the past 7 games, Gibbs and Wanamaker have led the team in scoring. There are going to be off nights for both of them during the season especially because they rely to a good degree on outside shooting. Other players have shown flashes of stepping up a little offensively, but none has proved to be a truly steady influence offensively. Brown and Dixon should be able to help, but it take several more games before they're ready to do that. Brown and Dixon will help but, the guards just cannot get the ball inside and when they do Taylor and McGhee both just have hands of stone, when they get the ball the usually turn it over or miss the shot. Once BE play starts this team is going to struggle big time, no way they win 20 games, Taylor looks like he was very over-rated coming out of high school. A lot of BE teams are waiting to give Pitt payback, NIT bound!! The inside game needs work, no doubt. Taylor's starting off a bit slow, but will get better. He's shown flashes and in my opinion, they need to get him a few more minutes. I think Pitt will have trouble in the Big East, but as the Texas game showed, I think they play up (or down as some of the other games showed) to their competition. I'd expect them to win 1-2 they probably shouldn't, but lose a few they shouldn't as well. Pitt will need to go 11-9 to get to 20 wins in the regular season or go 10-10 and win a game in the conference championship. I think that's possible. Very winnable games include Ohio, DePaul,(2) St. Johns, South Florida, (2) Seton Hall, Robert Morris, Providence, and Rutgers. 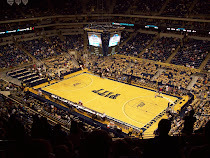 Pitt will also give itself a chance with games against Louisville, Marquette, and Cincy who are all middle-of-the-road. And perhaps they could steal a game against a WVU, Georgetown, or Villanova at home. The bad news is for Pitt, even if they crawl to 20 wins, I don't know if a 20-11 regular season record will be enough. If they don't get a couple of signature wins, they might need to win 1-2 in the conference tournament to get in.